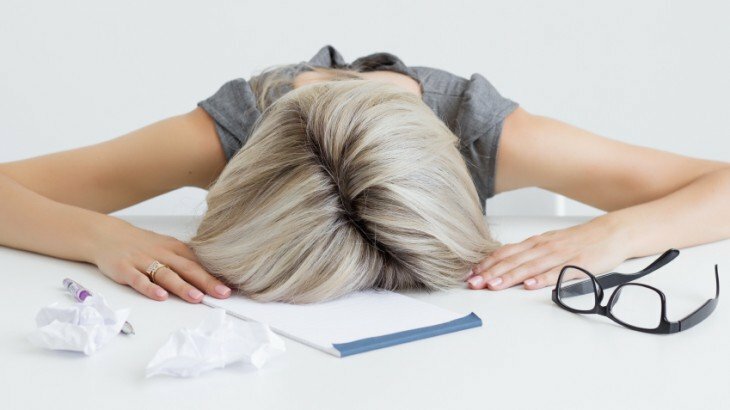 Getting in touch with clutter does not mean going all Marie Kondo; touchy feely, but it does require an honest assessment of the true cost of clutter- loss of productivity, creates stress/anxiety, decreases sense of self control, negative impact on self-esteem, negative impact on health. Ask yourself Do I like it and use it? With the constant flow of new responsibilities and roles filtering into our workload, how are we to keep track of meeting notes, searching for files, and trying to stay up-to-date? In most cases it comes at a cost, a cost on our time, relationships and health. I speak from experience, in my previous life I was consumed by my job, excelling in a male dominated industry, I identified myself though my career and I loved it. 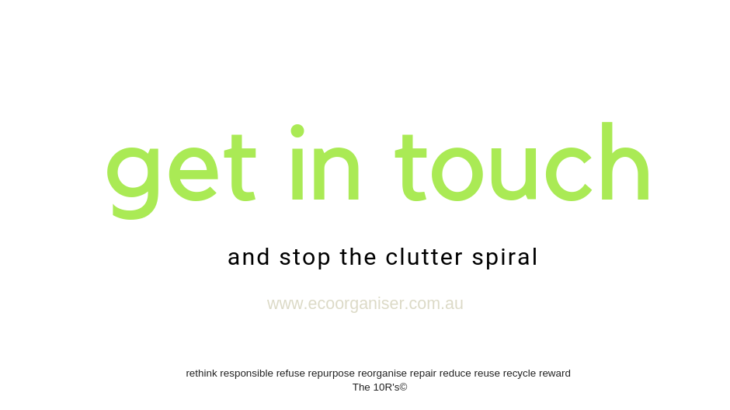 As the hours grew longer and workload increased, so did my clutter. 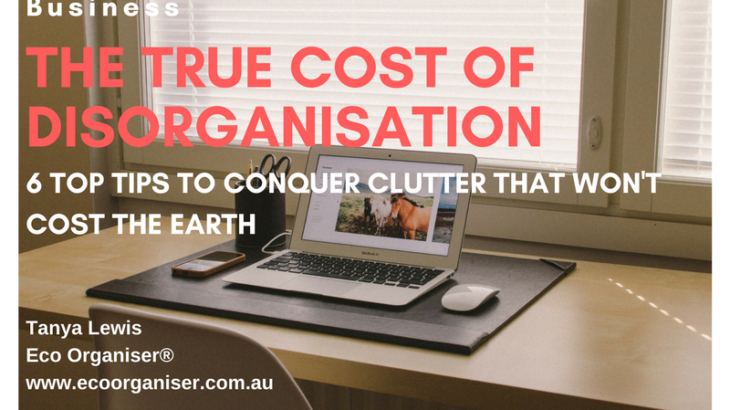 Too busy focusing on my role and not on my health, I found out the true cost of clutter and disorganisation. 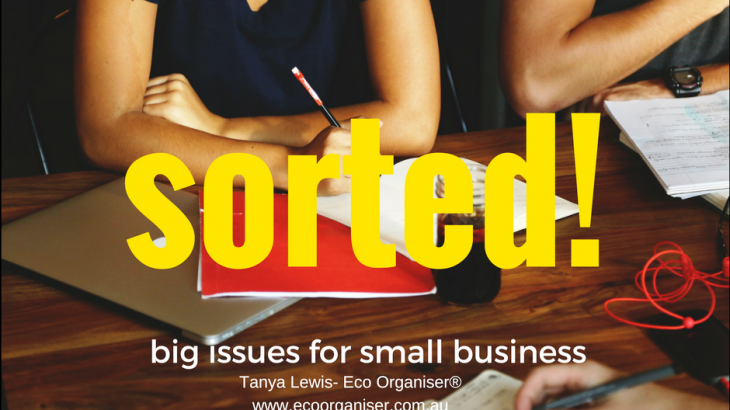 My clutter was not physical clutter, it was the stuff I carried around in my head, massive to do list’s, plans and ideas, meetings, targets to meet and managing a sales team. Don’t get me wrong I loved it but my body was telling me a very different story. As a small business owner I know how hard it is to juggle, running a business, household, caring for others, staying focused and finding balance in my life. 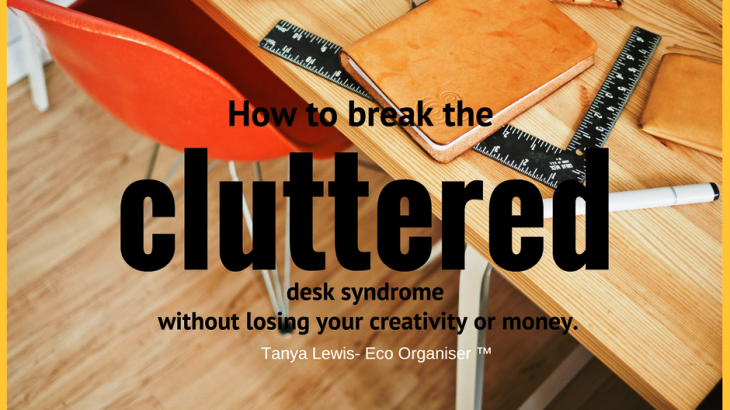 Einstein said “ A cluttered desk is the sign of a clutter mind” I am not sure if that statement means an organised desk is the sign of an empty mind, devoid of creativity and self-expression, either way when you are in business, wasting time looking for STUFF is not a wise use of your time. 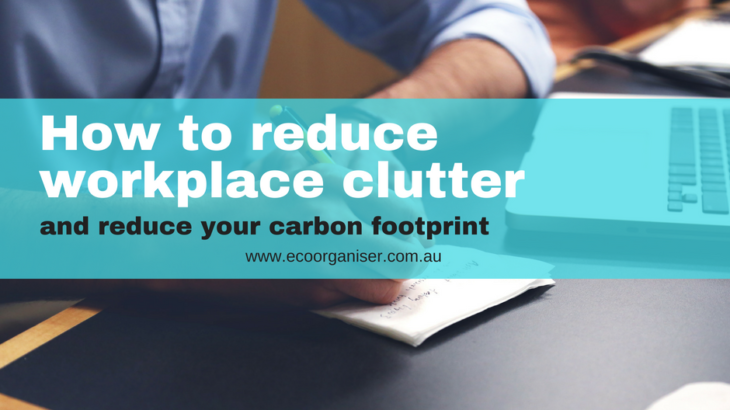 Does your office clutter stop you from expanding your business, simply because you waste valuable time looking for things? The office is where we go to work, earn our living, retreat into another world to write a book, carrying out meetings or plan for future successes. What does your office say? Does your office reflect your true professionalism or do you cringe when someone offers to drop by for a quick face to face meeting? We are all told to work smarter not harder, but with a cluttered office it makes it harder to find things, losing valuable time to fulfill our expectations and its costs us money. The 24th February 2015 marks Business Clean up Day. Do you still feel inspired to walk in each day and dive into work? Or do you wonder in shuffle a few papers, and then find something else to do?